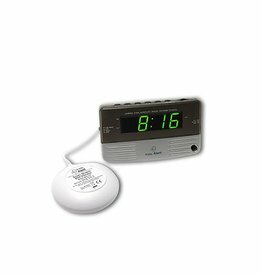 Travel with an alarm clock you have confidence in and know how to operate! 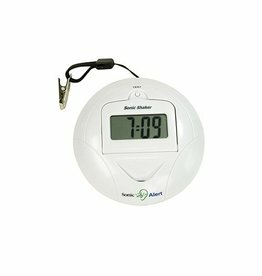 The Sonic Shaker has a unique bed shaking function and loud alarm to guarantee you will catch your flight on time. 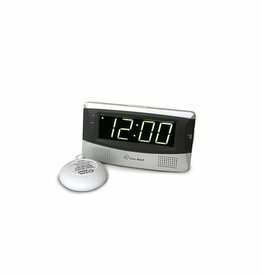 The classic alarm clock with a large, easy on the eyes green on black display, extra loud adjustable alarm and Sonic Alert's most powerful bed shaker. This is the solution to anyone's oversleeping woes. Wake Better! 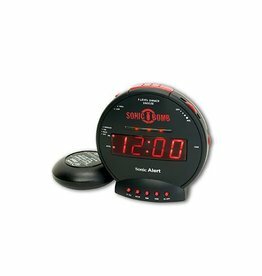 Super Loud Alarm Clock with Powerful Bed Shaker!